Sometimes “things” just happen! After a bunch of running around for the day job on Friday, I decided to stop in and say hello to Jack at The Sustainable Farmer. It had been a while since we’ve seen him and we are hoping, at some point, a few of our beautiful handmade cheese boards will be added to their product offerings. They were having a wine/cheese tasting, how’s that for timing! I started with the wine and chose this one from The Putney Winery. According to their website, this sparkling wine sparked the Winery! How cool is that? “Heirloom Cuvee was the first wine offered by Putney Mountain Winery way back in the 1990’s. We still love this sparkling gem that feels like Champagne while incorporating the distinctive flavors of heirloom apples”. Not knowing which cheese to pair it up with, I just asked and was sent to Cabot Clothbound. 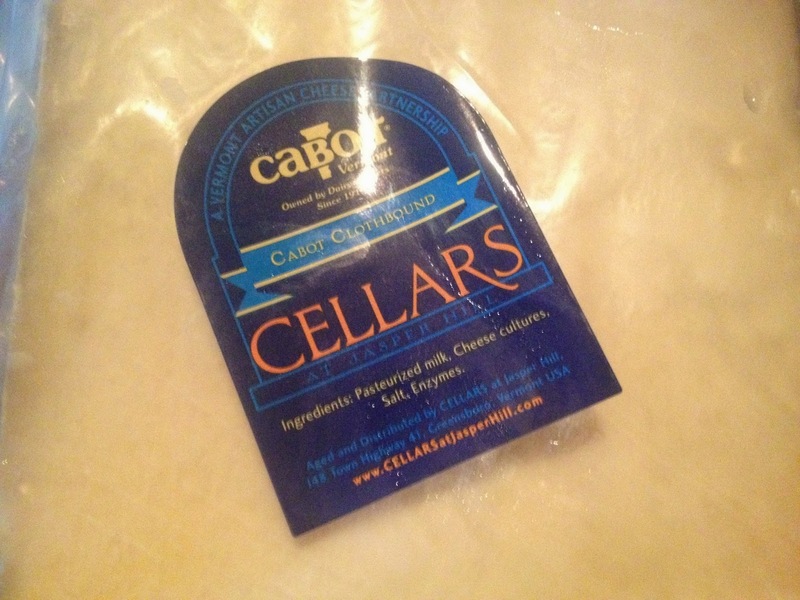 “Cabot Clothbound is a handsome natural-rinded traditional cheddar. Bandaged with muslin and skillfully aged a minimum of 10 months at the Cellars at Jasper Hill. 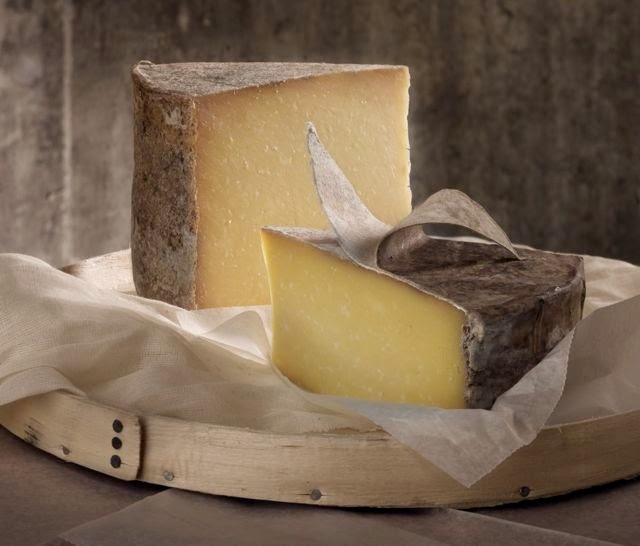 Cabot Clothbound has all the characteristic texture of an English-style cheddar with the sweet caramel and milky flavors that sets it apart from other bandaged cheddars. The flavor profile is at once sweet, savory, nutty, and tangy”. Sold! Being brave and in the moment, I didn’t even look at the price. Luckily, it was only $13 something. And, of course, a little something for the girls, $7.99. We typically don’t splurge like this, but I was in the mood. I do have to tell you that when the hubby opened the wine, he didn’t realize that it was carbonated. Small explosion and guess what comes out of my mouth? “I paid $17 something for that”! Ooops, but we laughed, what are you going to do? We also will make a point to attend more of these events. It’s fun and important to promote our local businesses. In case you are unfamiliar with The Sustainable Farmer, please give them a visit in Windsor, Vermont. 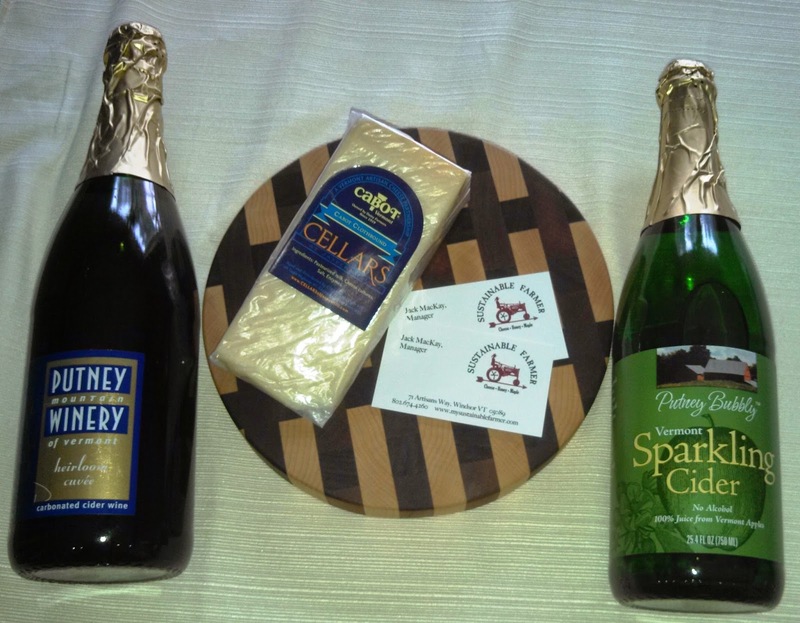 Specializing in Artisan Cheese, Honey & Maple Products, Specialty Meats and Body Care. This entry was posted in Windsor, Vermont, Wine and tagged Vermont, Windsor, Wine. Bookmark the permalink.